upside down / Downside up, upside down / Downside-up, upside down / Cycling with me. MICKEY MOUSE: Goofy. Watch out for the tree. GOOFY: I'm okay. Anyone care for a spin? MICKEY MOUSE: We can't, Goof. We're looking for Professor Von Drake. GOOFY: I just saw him. He told me all about Mickey's Comet. 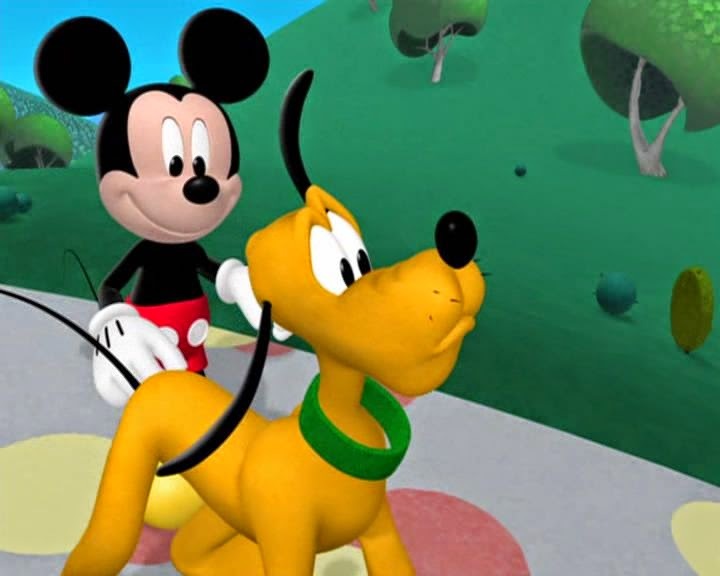 MICKEY MOUSE: Did he tell you where he was going? 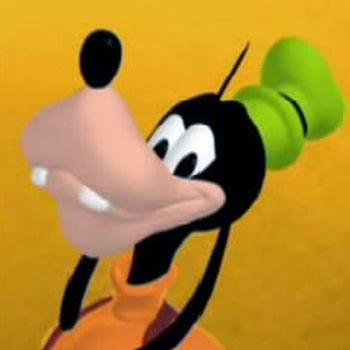 GOOFY: Hmm... No. But I can take you to where I last saw him. Follow me. GOOFY: Uh-oh. I thought this is where I saw the professor. But it can't be. The path I saw him on had a sign with a six on it. This sign has a nine. 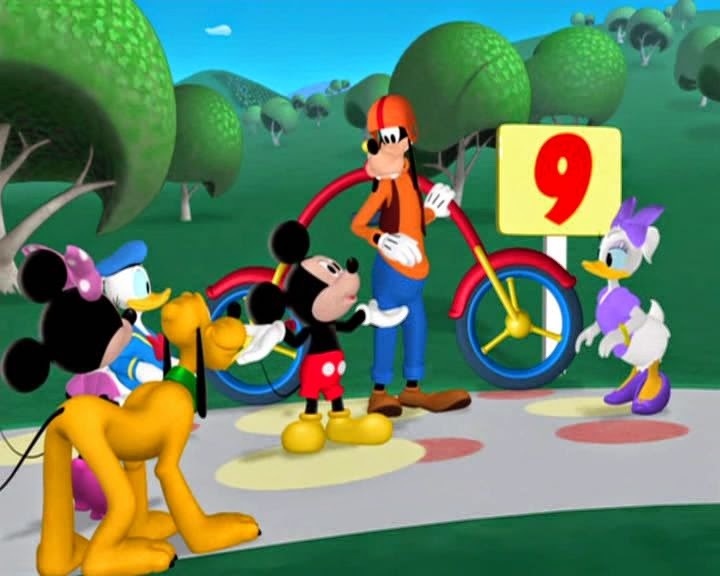 DAISY: That's a nine all right. And there aren't any other signs around here. GOOFY: I must be lost. 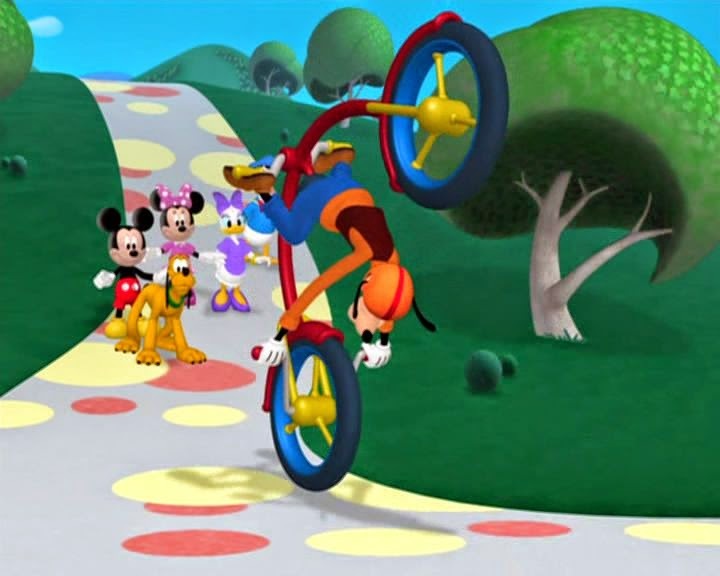 MICKEY MOUSE: Goofy, were you riding your upside down Cycle when you saw Professor Von Drake? GOOFY: Yep. I've been riding all day. 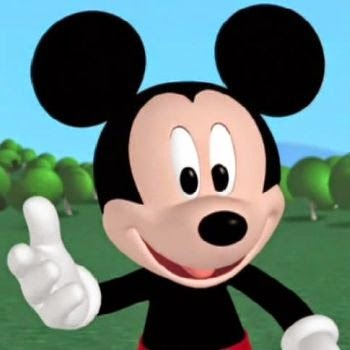 MICKEY MOUSE: Ah-ha! Then you're not lost. We're in the right place. GOOFY: How can that be? The sign I saw had a six on it, I tell you. MICKEY MOUSE: But you were upside down. I'll show you what I think happened. 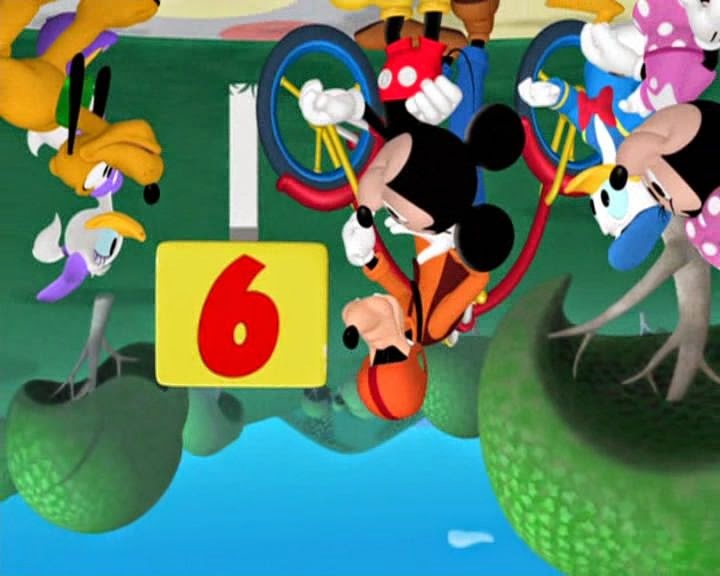 Let's all look at the sign the way Goofy did when he was... upside down. GOOFY: Well, look there. An upside down nine looks like a right side up six. This is the right spot. MICKEY MOUSE: Oops! We're still looking upside down. ALL: Whoa! 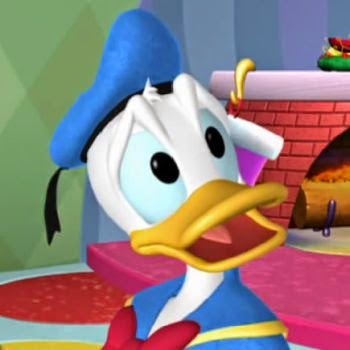 DONALD DUCK: That's much better. GOOFY: Glad I could help you. So long. GOOFY [SINGING]: Put your eyes near the ground / Say goodbye to your frown / And come upside down cycling with me. GOOFY: I'm still okay.